Do you have room in your home and heart? What types of fostering are there? Short Term Fostering - Offer short term care to a child or young person, until they are able to return home. Long Term Fostering - Offer a permanent home to a child or young person until they reach independence. Fostering Brothers and Sisters - If you have the space, look after brothers and sisters and help keep a family group together. Fostering Teenagers - Our scheme provides care for young people who may have challenging behaviour. 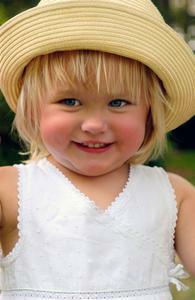 Parent and Baby Fostering - To provide short term care, support and guidance for a parent and their baby. Fostering Children with Disabilities - To provide care for a child or young person with a disability. Remand Fostering – Foster carers work with young people who are involved in the youth justice system. 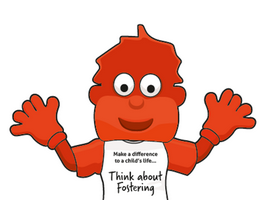 Emergency Fostering - Look after a child or a young person for a short time in an emergency. What you can offer may depend on your work and family commitments. We encourage applications from families living in Neath, Port Talbot and Pontardawe. Private fostering is an arrangement made for a child 16 or under, or under 18 if a child is disabled, to be cared for by someone other than a close relative. It describes arrangements for child care made privately between the child's parents and a carer of their choice. When you are a fostering family, we can offer a range of support to help you as much as possible. During your time as a fostering family, you will need support and help. As a Fostering Team we will provide you with all the support and help you and your family will need. We believe training is an important way to gain further skills and to meet other foster carers. The courses will be within the local area and there is an expectation for you to attend. Support is available during the evening and at weekends via a dedicated telephone line. As a fostering family, you will receive a Celtic Community Leisure pass. This offers concessions at all the leisure centres within the County Borough. Our Fostering team regularly take part in events throughout the year. These include 'Foster care Fortnight campaign' and also Welsh Cakes for kids Campaign where we received support from hollywood actor Michael Sheen. This page will be updated when more information becomes available. Are you interested in fostering? Would you like to know how to get started? Our event may answer some of your questions. Members of the Team will be here, so please call in. Here are some photographs of Ziggi and Hollywood actor Michael Sheen promoting fostering throughout the Borough. If you want to see more photographs, please visit us on Facebook NPT Fostering and like our page and share with your friends. If you would like more information about Fostering in Neath Port Talbot, please contact us using the methods below.